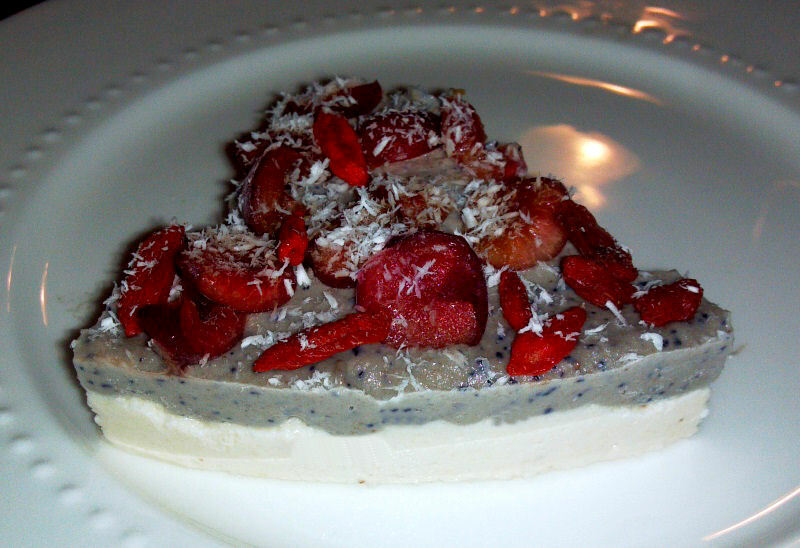 I was in the mood for something sweet, coconut-ty and fresh, so I decided to come up with my own fully raw Coconut Blueberry Macadamia Cheesecake, Topped with Cherries and Goji Berries! Yes, that is the official full title! 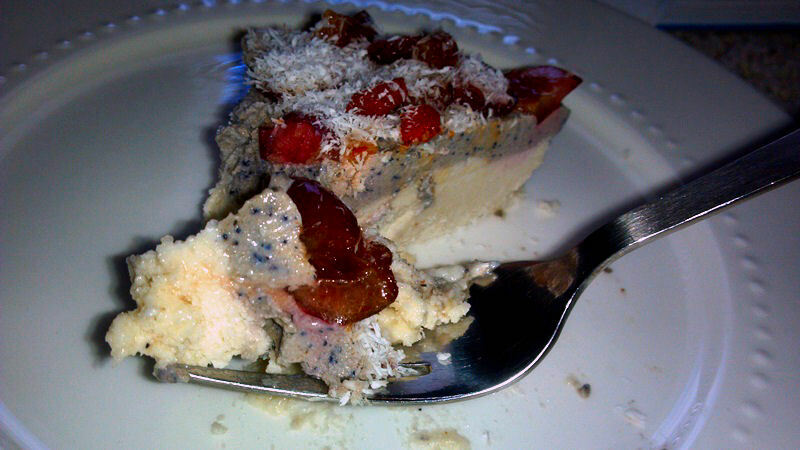 But for the sake of brevity, I have decided to call it Coconut Blueberry Cheesecake. 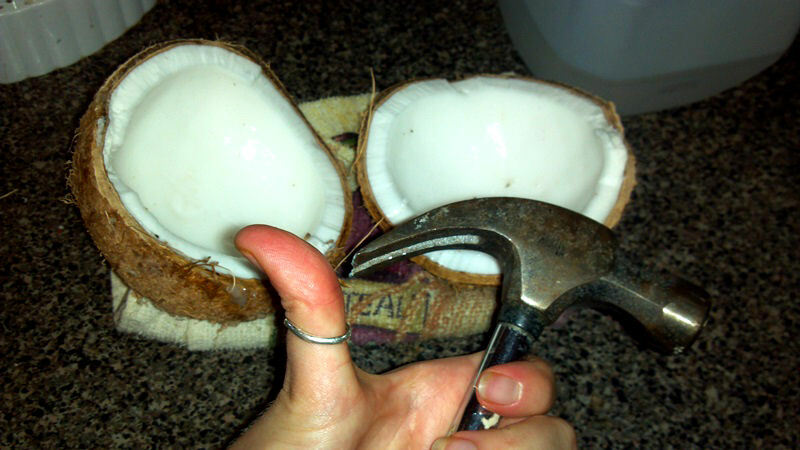 Congratulations, you will now be able to scrape the meat out of coconut! 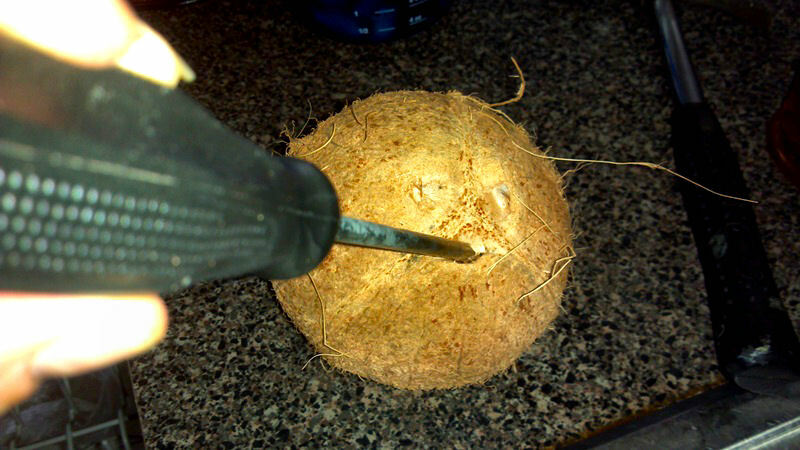 Using a knife and spoon, scrape the meat out of the coconut, cut it up and measure 2 cups worth, and put it in your blender. 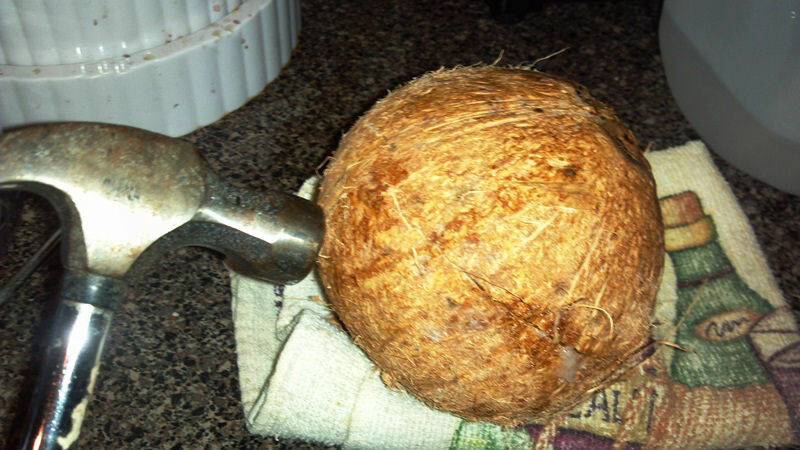 This should almost all of your coconut meat. 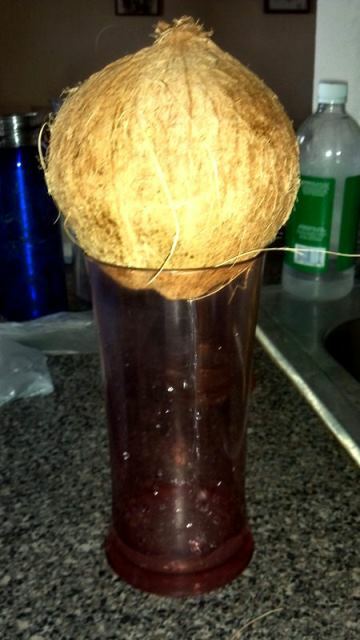 You will need to save a half cup for your second blueberry coconut layer on our next step. 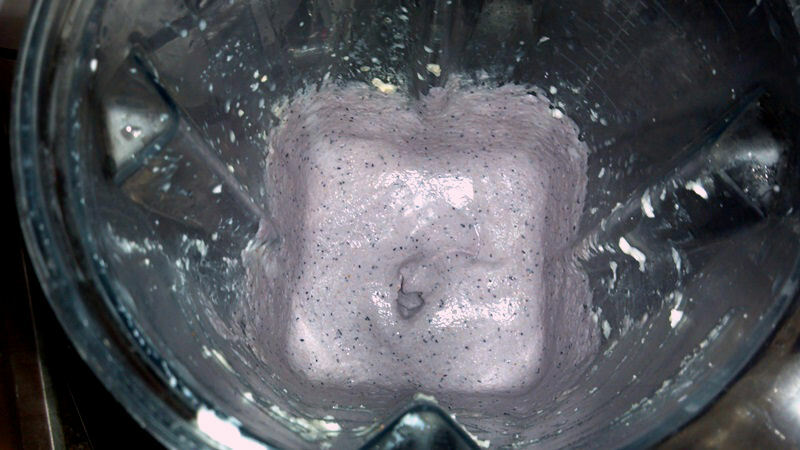 Turn on your blender, and blend away! 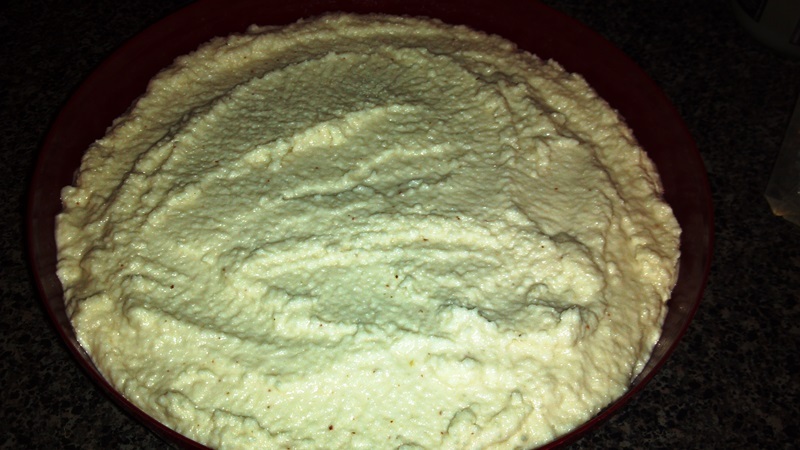 You may need to stop and start your blended, pushing down on the sides until everything is fully mixed, thick and textury. 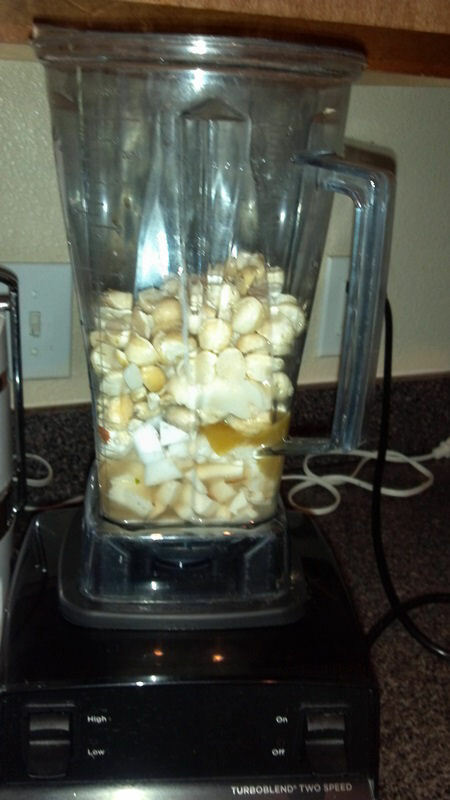 Put all your ingredients into a high powered blender, then blend until smooth and creamy. The mixture will be thick, have a purplish tint and will smell AHHHMAAAZZZINGGG! Now we will take our tray with our coconut macadamia cheesecake layer out of the freezer, and add our blueberry coconut cream. 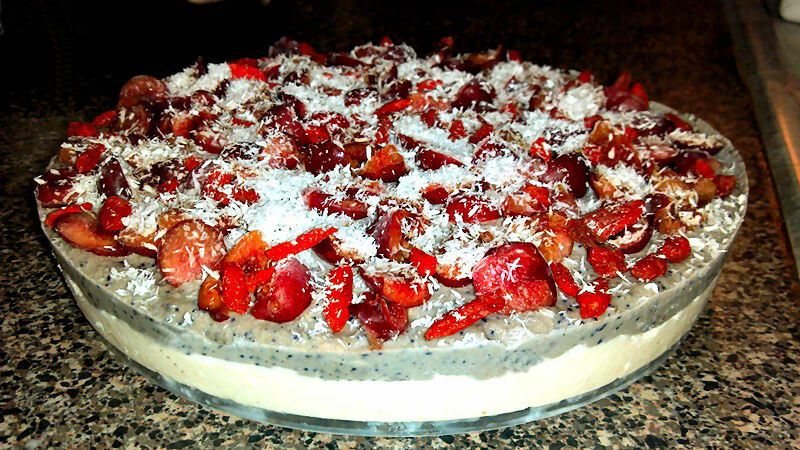 Top the cake with 1/2 cup sliced cherries and goji berries, then place back in the freezer for another four hours or so. 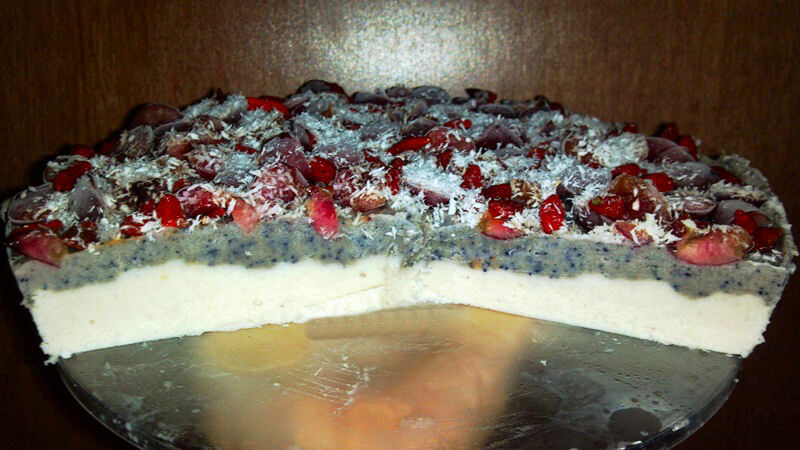 Take it out of the freezer, cut into slices and serve! SOOO Lovely and tastes amazing! It’s all about the layers and textures, people! 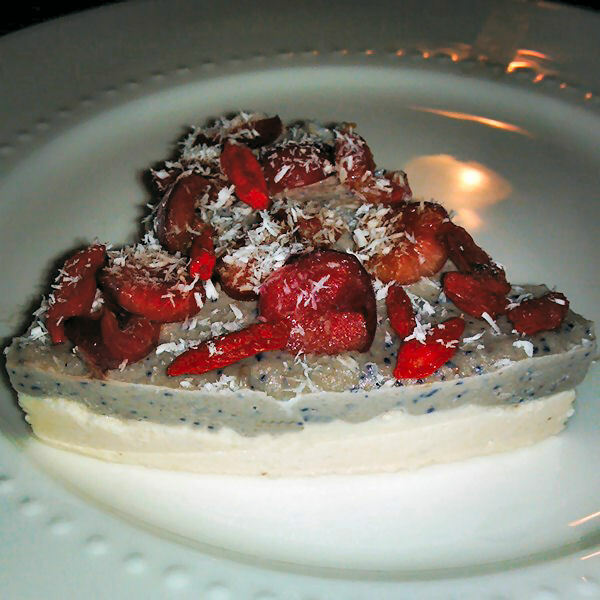 Thick, coconut/macadamia layer, smooth coconut blueberry cashew cream layer, and fresh cherries, coconut and goji berries for the topping. 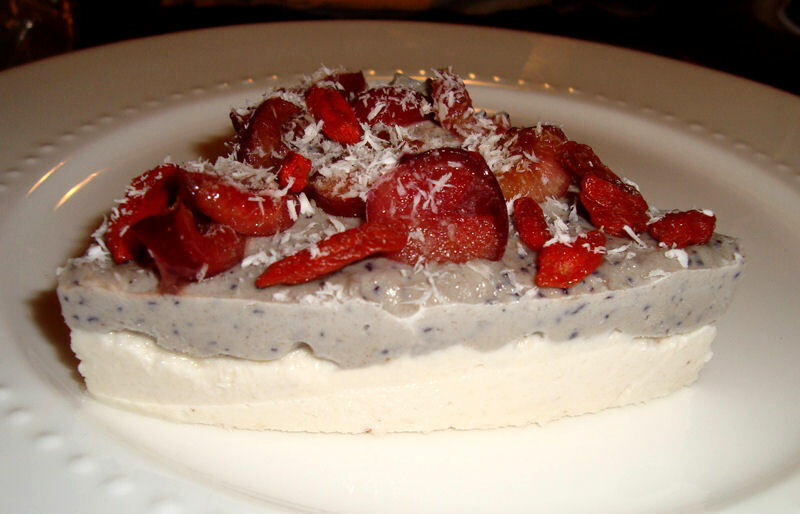 Perfect mix of different layers, textures and flavors! Orange Cranberry Cupcakes - Sugar and Gluten Free!